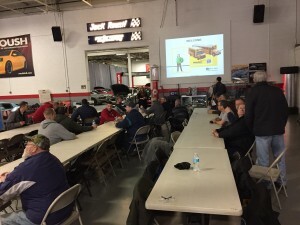 In 2016, we held 79 training sessions, taught at 226 locations and instructed 745 technicians about propane autogas. We want to exceed those numbers this year, and we’re starting off strong. Imagine a soccer game with no nets at each end of the field. The players would kick the ball around with no target — no way to make a goal. The game would literally be pointless. We continue to wait patiently for a VW funding Trustee to be determined. While many states have an idea of who their beneficiary will be, they won’t be officially named until the Trustee is determined, which could take as long as six months. Some states already have a very good idea who their beneficiary will be and others are keeping the information very close to the vest or just don’t know yet. If you are wondering whether your state knows who the beneficiary is, please contact Chelsea Uphaus at chelsea.uphaus@roush.com or 734.466.6710. This will affect the timing for the rest of the pieces that need to fall into place. At this rate, the delay means that the funds most likely won’t be available until 2018. We are ready to act once a Trustee is chosen. Until then, please make sure that all your paperwork has been submitted. Please send in your template letter and then personally reach out to your potential beneficiary to discuss propane and school bus replacements. We still want to be top of mind even during this delay. Reach out to the beneficiary to discuss propane and school bus replacements. Complete this Excel spreadsheet and email it to Chelsea Uphaus. We’re waiting on this information from you to move on to our next phase of outreach when we will distribute program outlines like the one here. Thanks to those of you who’ve already sent in your spreadsheet. We’re continuing to work on program outlines. If you have any questions, contact Chelsea Uphaus at chelsea.uphaus@roush.com or 734.466.6710. This month, we helped Blanchard Bus Centers organize a propane school bus event in South Carolina. The state operates one of the oldest school bus fleets in the country with buses averaging 15 years old — some dating back to the 1980s. Blanchard helped make a dent in replacing old diesel buses with new propane-fueled models. The event let the folks of South Carolina know that cost-saving, emissions-reducing buses are now transporting their children. A couple months in advance, the Blanchard team coordinated with folks from Blue Bird corporate and ROUSH CleanTech to organize the event. The Blue Bird dealership was instrumental in determining the event’s date and location and reaching out to dignitaries to attend and speak at the event. Blue Bird and ROUSH CleanTech stepped in to get the word out and get the media to take notice. A few days before the event, we distributed a media alert with details to entice local media to attend the school bus unveiling. Along with logistical details, the media alert provided a sneak peek about the event, including the buses’ significance, the list of speakers and the opportunity to take a ride in a propane bus. We then personally reached out to reporters to explain why this event was important for them to cover. This outreach was instrumental in the success of the event. It was well attended by newspaper and television reporters — with cameras in tow. Before the event, we arranged a radio station interview that aired early in the morning, and a reporter for a local television station showed up at 4:30 a.m. at Blanchard to broadcast live pre-event coverage. We then distributed a press release immediately following the event to reach trade publications and local media members who were unable to attend. A. 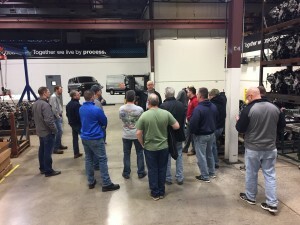 To make Cardinal Bus Sales successful with alternative school bus sales, we reach out to our customers and invite them for tours of ROUSH CleanTech and to attend ride and drive events throughout the state. By putting a fresh spin on our marketing events, current and potential customers experience the buses in an interactive and interesting way. Q. How do you approach your ride-and-drive events? A. Each year, we host a few ride and drives throughout the state. Our goal is to introduce propane- and gasoline-fueled buses to as many people as we can. We choose multiple locations throughout the state and schedule events. We invite local decision makers, such as school board members, school transportation directors and maintenance personnel. We give presentations on the alt fuel buses and allow the attendees the chance to ride in or even drive demo buses. This past year, every participant who drove a bus received a Cardinal pullover. Our recent event brought in more than 100 qualified customers and prospects over three days. Q. How do you attract such great attendance for ROUSH CleanTech facility tours? A. 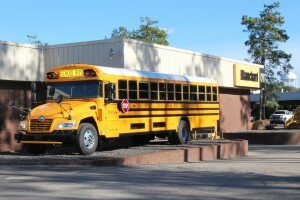 We drive current and potential customers to Livonia on a propane or gasoline bus. Recently, we brought 30 people in from 15 different school districts. Not only does this make our participants feel appreciated, it also gives them time to discuss their alt fuel school bus goals with other Cardinal customers during the drive up to Michigan. Those who are interested in alternative fuels can speak to their peers who already have direct experience. Q. What can a customer expect during a tour? A. Our attendees get to learn more about propane and gasoline school buses and also experience ROUSH — making the trip both educational and fun. We arrive in Michigan the evening before the tour. In the morning, we check out ROUSH CleanTech’s manufacturing floor to see firsthand the engines, fuel tanks and fuels rails that go into our buses. Our customers hear a presentation about the available school buses, learn about bus service and operations and see a fueling demonstration. Then, we head over to the ROUSH Museum to learn more about the company and to see Jack Roush’s really cool private collection of automobiles. We also get the opportunity to tour ROUSH Performance. Q. What is your opinion of alternative fuel buses in the future? A. I believe there will continue to be customers who will stay with the diesel product, however, with all the emission challenges associated with diesel, the outlook for alternative fuels buses looks very bright! Since the dealer meeting, we’ve been talking about how 2017 is the Year of the Customer, and the people, process and system investments we’re making to reflect that. The latest changes came this month, when we combined our technical and customer service teams into one. We’re calling it our Customer Success team. Regional Field Service Engineers. 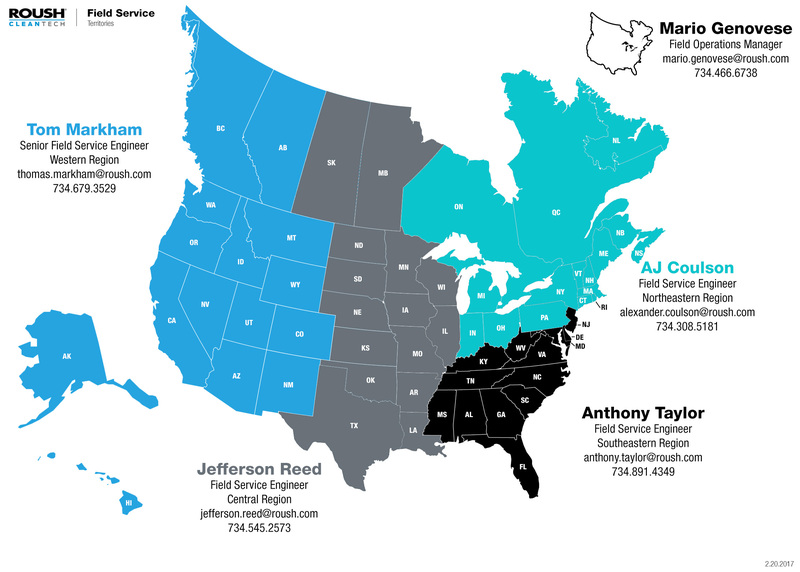 We are officially rolling out four newly defined territories for a team of regional field service engineers. 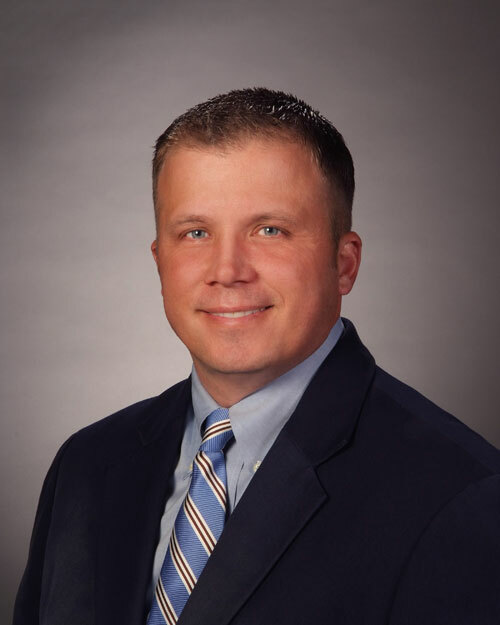 This team will play a critical role in the success of our service network, using a proactive approach to maintain and develop service centers in your markets. The engineers will provide on-site training and support to our collective customers with technical service. Technical and Customer Support Agents. With a dedicated call center staff, we’ve already improved our handle rate for incoming calls by more than 20 percent since August. Our growing customer and technical support agent staff are tasked with answering the phone every time you call us. This team will be opening cases with you over the phone so we can track the progress of your issue and make sure to resolve it in a timely manner. The new structure allows us to improve our service to you and your customers as the alternative fuel school bus market continues to grow. New Support E-mail. We’ve created a new e-mail address that automatically notifies our Customer Support team when an inquiry comes in. If you have any technical or customer related questions, please e-mail support@roushcleantech.com and we will get back to you immediately. We have more changes coming, and will be eager to hear your feedback as things improve. 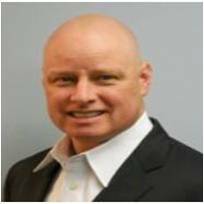 Please let me know how we’re doing for you by emailing me at brian.carney@roush.com. Happy New Year! With the changing of the calendar comes a blank slate to fine-tune your organization’s priorities. In 2017, our overarching company goal is to create more awareness about the environmental and economic benefits of propane autogas and compressed natural gas, while helping school districts and public and private fleets make the seamless transition to our technology. Summerville, SC (WLTX) – South Carolina’s got one of the oldest bus fleets in the country, but brand new buses are headed for the streets and they don’t even use gas. The South Carolina Department of Education (DOE) debuted 26 propane tank buses in the Lowcountry today that are said to be better for the environment and more cost effective. 2.9.2017 — The first of 26 propane-powered school buses were unveiled today at a ceremony in Summerville. 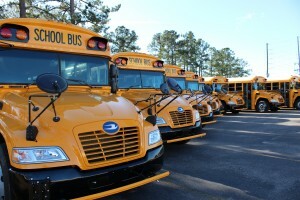 In an effort to be more economically and environmentally responsible, the state of South Carolina has purchased these new Blue Bird Vision Propane school buses to replace aging diesel buses. The alternative-fueled buses will be deployed to service Dorchester and Berkeley counties tomorrow.